Our eyes and vision change over time, so everyone should have regular eye examinations. At Vision Optics, our focus is on providing clinical excellence in all areas of eye care. Our comprehensive eye examinations include a vision and health assessment of your eyes and specifically for ocular signs of general eye disease. We understand that every eye is unique and only with the most innovative ophthalmic equipment from ZEISS to test your eyes combined with the ZEISS Precision Lenses, can you expect perfect vision. That's why we use ZEISS equipment for most of our eye examinations. 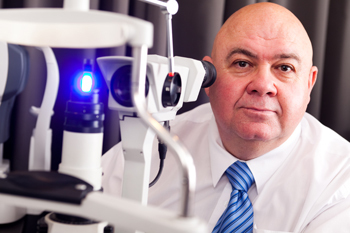 At Vision Optics, we recommend a comprehensive eye examination every two years.